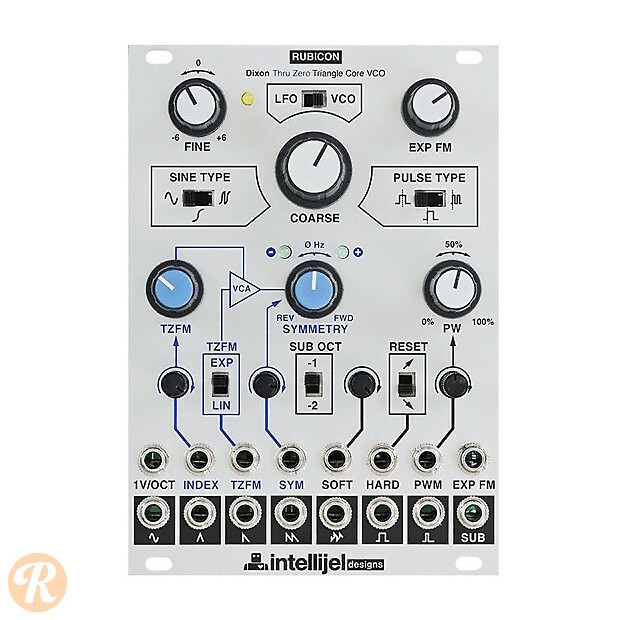 The Intellijel Rubicon is a triangle core VCO with through zero FM capabilities. It features a whopping 12 primary waveform types: sine, sigmoid, double sigmoid, triangle, saw, double saw, zigzag, square, pulse (center modulated), pulse (edge modulated), and double pulse as well as an SH-101 style suboctave. Extensive options for sync, pulse width modulation and frequency modulation are on tap for the creation of complex and evolving timbres.